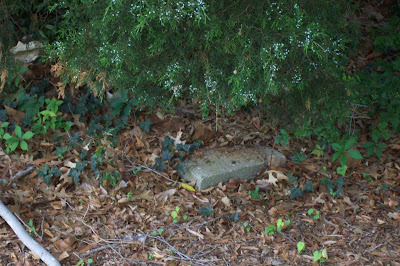 These are pictures of headstones in Oak Grove Cemetery in Elizabeth City, NC. Oak Grove is one of the black cemeteries in Pasquotank County and appears to be the oldest. 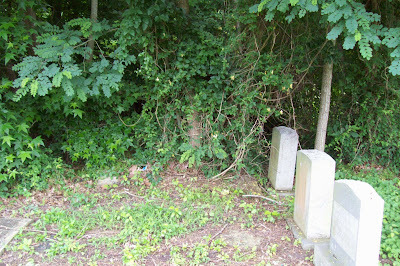 When I went this past may, I made sure to go by one of black cemetery’s to see my ancestors. Although the cemetery is kept in pretty good condition, I couldn’t help but be heart broken when I saw many tombstones deep in the woods surrounding the cemetery. I wouldn’t dare attempt to go that deep in the woods as I was already warned by family that there are snakes…rattlesnakes. However, I did try to get as close as possible! Many of my ancestors are buried here as this cemetery was started in the 1800’s. One of my grand aunts is buried out there, but her grave does not have a marker. My grand uncle showed me the general location of where his sister was buried, but he was certain. I am still on the look out for other cemeteries in the area. so if you or anyone else knows of any cemeteries around Pasquotank or Perquimans please let me know and I will get them photographed and online. Have been told of a couple off River Rd but have been unable to locate them even with someone telling me where they are/were. Can’t even see them on Google map so they might be gone. 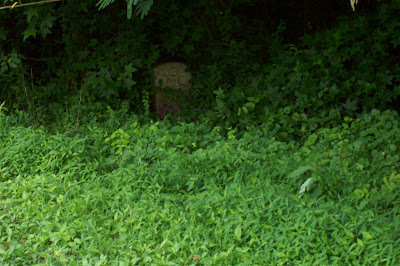 Anyway, Just wanted to let you know I have started back up and I am on the prowl again for cemeteries. Hi Diane – I have been keeping up with the site and Oak Grove. I was there at the end of August and it looked alot better since this post. I didnt get a chance to spend much time there to explore. Thanks for the update!! !